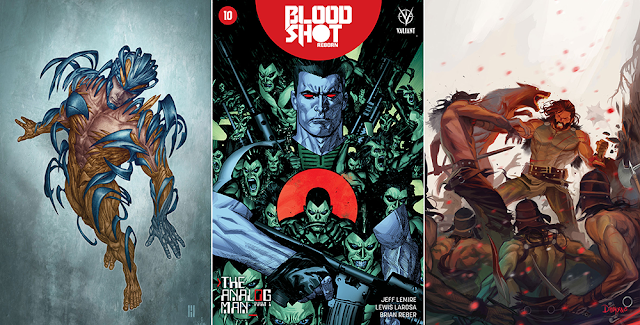 PICK OF THE MONTH BLOODSHOT REBORN #10 Valiant "The Analog Man," part one. Many years from now, Los Angeles has become a post-apocalyptic wasteland and the once unstoppable killing machine known as Bloodshot has become The Analog Man. 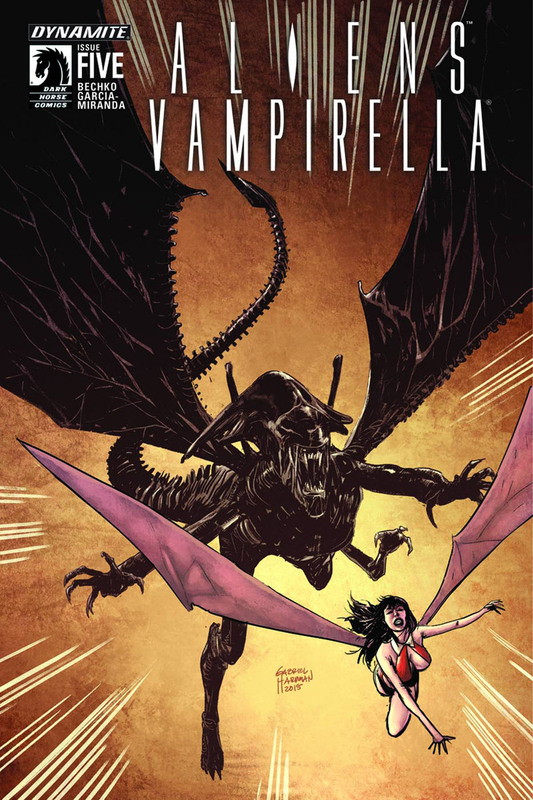 Hopelessly outdated, Bloodshot's taken on a new role as the protector of a small town, eking out a subsistence existence with the great love of his life -- Magic -- and protecting a group of stragglers who've weathered the storm. But when a gang of marauders arrives, the settlement's survival is threatened, and Bloodshot is forced to bring justice to the distorted and disjointed badlands of the Valiant Universe! (W) Jeff Lemire (A) Lewis Larosa.